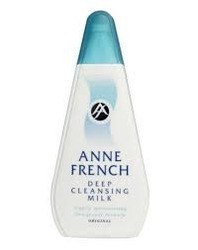 - Soft texture cleansing milk. La Mist Cleansing Milk is formulated with pure pharma grade ingredients blended with herbal actives and cleansers, taking care of all types of skin. It is not only a Cleansing Milk but a moisturisers, anti acne & deep pore cleanser. Its unique combination to will take care of your skin all day long. La Pearl deep cleansing milk contains special blend of herbal oils & extract that gently cleans dirt, dead skin cells and other impurities, lift away make up while maintaining your skin's natural moisture balance leaving it soft, smooth and clean. - Suitable for all skin type. • Effectively cleanses and refreshes the skin. We are the leading supplier of Cleansing Milk Can 5 Ltr made available to our clients at competitive prices.